After the snow melts I let the chickens into the kitchen garden to do a little clean up. 5 hens remain from my original chick purchase nearly 8 years ago. 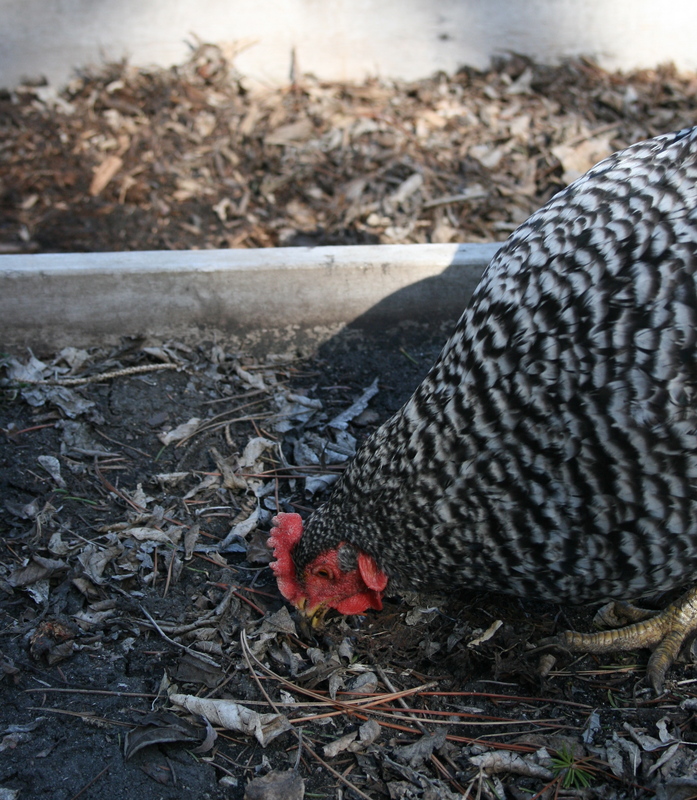 The girls egg laying days are over, but they provide insect clean up and add to my compost pile. All very valuable to the garden. And doesn’t chickens scratching in the yard just make you smile? Next Post Is It Really A Job? Lovely photo. I can’t wait to have some chickens of my own! They are characters, for sure! Love the title! I find watching chickens scratching about very meditative. Amazing that your girls are 8 – that is ancient for a chicken! I love that you’ve kept your girls past their egg-laying years. Definitely something I want to do as well when I finally get my own! !